Bell Heath Outdoor Elements ARE YOU A SUPPLIER? If you are looking for an idyllic countryside venue for planning your big day, Bell Heath Outdoor Elements offers you a perfect setting. Set in 22 acres of land, located in the Worcestershire countryside, situated next to the Birmingham city centre, Bell Heath Outdoor Elements is a rustic building, built nearly 100 years ago. Combining rustic charm and appealing heritage, the venue features comfortable accommodation, indoor and outdoor function spaces and exciting services, for creating a bespoke event. Bell Heath Outdoor Elements has a large hall, which can seat 80 to 100 guests. The beautiful woodlands will serve as a perfect location for planning a grand marquee event and provides great photo opportunities. The venue also offers overnight accommodation for 84 people and the site has plenty of space for 100 plus cars. A brand-new commercial kitchen is available and for entertaining your guests. New for 2019 there is a newly renovated cottage that is ideal for the night before and the marital night. With a large wood fired hot tub outside and accomidation to sleep 8 the cottage is an ideal addition to the wedding. Inside there is 3 bedrooms, large ktichen dinner, bathroom with a bath and comfy lounge area. It is worth noting that this venue will not be used as an outdoor education centre during your special day. 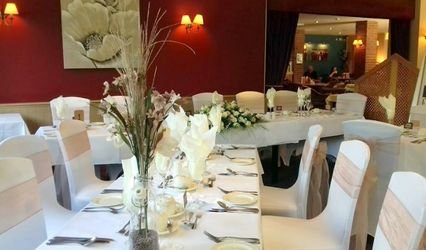 Bell Heath is the perfect place for a countryside wedding, with the added option of treating your guests to some outdoor fun too! On site there is the option to try high ropes course, archery and have an amazing campfires. These can be booked in addition to your day and are under the expert supervision of experienced team of instructors. The team at the venue will be a happy to provide information about local suppliers for wedding cakes, wedding flowers, wedding cars, catering, mobile bar, music and entertainment. In-house catering is offered and self-catering options are available. We loved every second of our beautiful wedding at Bell Health Outdoor Elements. The venue is surrounded by beautiful countryside, which was lovely to explore and created beautiful locations for our photographs. The team at Bell Health were very warm and welcoming and did everything they could to help us feel relaxed and at ease on our special day. Having the accommodation on site was brilliant, as it meant our guests could dance the night away, without worrying about taxis or a hotel. Thank you to everyone at Bell Heath for helping us have the perfect wedding. We hired Bell Heath for our wedding reception and it was perfect! We decorated it ourselves, had our own caterers, ran our own cash bar and we were able to get amazing photos in the beautiful grounds.